James Kenneth Morrow was born March 17, 1947, in Philadelphia PA and received a BA in creative writing from the University of Pennsylvania in 1969. He earned an MAT from Harvard in 1970, taught English at the Cambridge Pilot School from 1970-71, worked as an instructional materials specialist for the Chelmsford Public Schools in Massachusetts from 1972-74, taught media production at Tufts University from 1977-79, and contributed articles to A Teacher’s Guide to NOVA from 1979-85. He has been mostly a freelance writer for nearly 40 years. 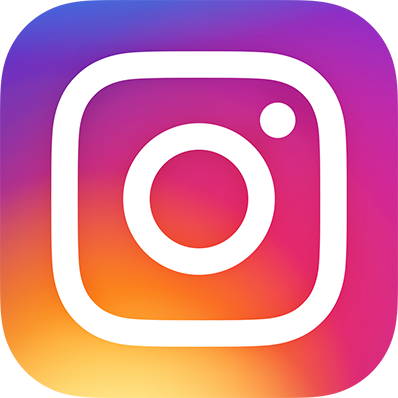 He has two children from his first marriage (to Jean Pierce) and lives in State College PA with second wife Kathryn Smith Morrow and son Christopher. 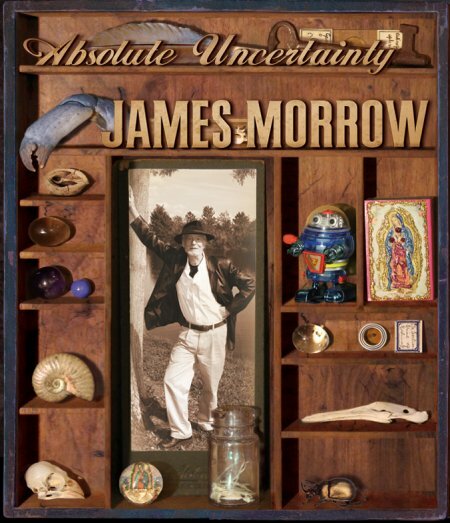 Morrow is one of our leading satirists. 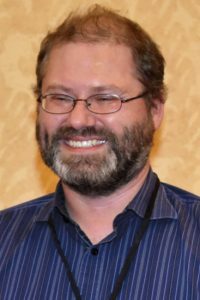 His first novel, The Wine of Violence, appeared in 1981, followed by The Continent of Lies (1985); Nebula Award finalist and Campbell Memorial Award runner-up This Is the Way the World Ends (1986); and World Fantasy Award Winner Only Begotten Daughter (1990), also a Campbell Memorial and Nebula Award finalist. His Godhead trilogy includes the World Fantasy and Grand Prix l’Imaginaire winner Towing Jehovah (1994), also a Hugo, Clarke, and Nebula Award finalist; New York Times notable book Blameless in Abaddon (1996); and Grand Prix l’Imaginaire finalist The Eternal Footman (1999). Postmodern historical epic The Last Witchfinder appeared in 2006, and Frankenstein homage, The Philosopher’s Apprentice, in 2008. His latest novel is Galápagos Regained (2015). Morrow is equally adept at short fiction. 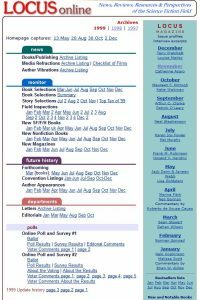 Notable stories include Nebula Award winners ‘‘Bible Stories for Adults #17: The Deluge’’ (1989) and novella City of Truth (1990), and Nebula Award nominee ‘‘Auspicious Eggs’’ (2000). Novella Shambling Towards Hiroshima (2009) won the Theodore Sturgeon Memorial Award and was a Hugo and Nebula Award finalist. Novella The Madonna and the Starship appeared in 2014. His stories have been collected in Author’s Choice Monthly Issue 8 (1990), World Fantasy Award nominee Bible Stories for Adults (1996), and The Cat’s Pajamas & Other Stories (2004). Collection Reality By Other Means is forthcoming. 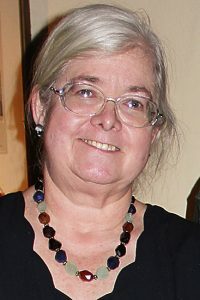 Morrow edited the Nebula Awards anthologies numbers 26, 27, and 28 (1993-1994), and co-edited The SFWA European Hall of Fame (2008, with Kathryn Morrow). He won a Prix Utopia Award for life achievement at the Utopiales Festival in Nantes, France, in 2005. ‘‘When you’re a satirist, nothing is sacred, not even worldviews you happen to agree with. One thing I like about my Towing Jehovah thought experiment, one of the surprising inevitabilities that precipitated out of that broth, was that it gave me an opportunity to mock myself. At the center of the novel is the conceit of the Corpus Dei, the two-mile-long corpse of God that my hero, a su­pertanker captain, must deliver to its final resting place in the Arctic. As the plot unfolds, the body becomes a sort of three-dimensional Rorschach test, a big floating inkblot. That novel is a bit like the Hindu fable of the Blind Men and the Elephant: everyone comes away with a different interpreta­tion. You touch the elephant’s tusk, and you decide an elephant is like a spear. The leg of the elephant leads one blind man to believe an elephant is es­sentially a tree, and the tail means elephants are ropes, and the trunk means elephants are snakes. ‘‘In Towing Jehovah, one of those limited viewpoints becomes that of atheists, even though I’m an atheist myself. When you think about it, if you stumble upon the corpse of God, that means that he or she or it was once alive, and that invali­dates the atheist argument. I had fun making up the Central Park West Enlightenment League, and being rather severe with them for wanting to blow the Corpus Dei out of the water. It’s a very human reaction, but pretty hypocritical. One of the more clear-thinking Enlightenment League members ac­cuses her fellow skeptics of what she calls ‘atheist fundamentalism’ – so long before the New Atheist movement, I anticipated the problem of doctrinaire secularism. 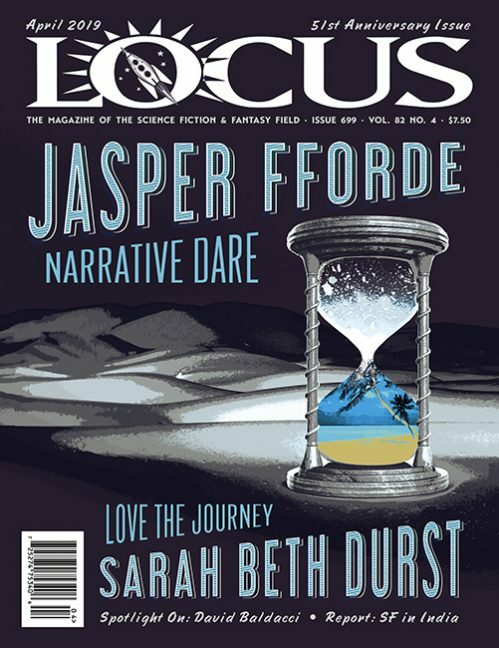 Read the complete interview in the June 2015 issue of Locus Magazine. Interview design by Francesca Myman.